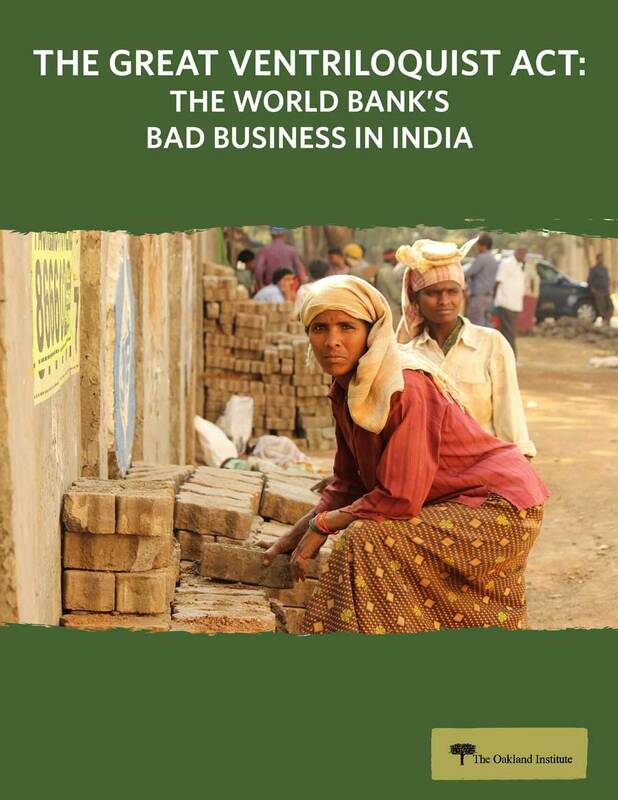 Oakland, CA—On the eve of the World Bank’s annual meetings, taking place from October 8-14, 2018, a new report, The Great Ventriloquist Act, exposes the devastation caused by the Bank’s growth-at-all-costs vision for India. The report also reveals the sinister ways that the Doing Business reforms are impacting state-level policies. Whereas the DBR typically pit developing countries against each other by scoring them on their pro-business reforms, in India individual states are now also being evaluated and ranked with the assistance of the Bank. Using the federal structure, the Indian government has now fostered a predatory race nationwide, with states destructively having to compete against one another to be more attractive to businesses and investors. The Great Ventriloquist Act is part of the global Our Land Our Business campaign, launched in 2014 by more than 280 organizations worldwide to call for an end to the Bank’s Doing Business and Enabling the Business of Agriculture ranking programs. To date, the campaign has successfully led to the withdrawal of two of the five anchor donors to the Bank’s Enabling the Business of Agriculture rankings. The report renews global demands to end both ranking programs once and for all.